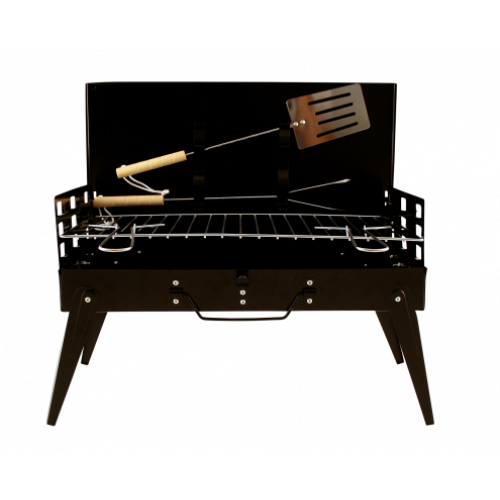 With the suitcase barbecue you have everything in-house for your (camping) holiday. Your spatula and barbecue fork are already in the barbecue! These can be mounted in brackets in the lid. 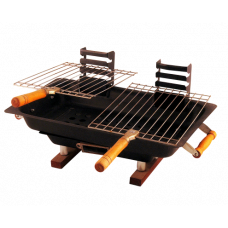 As the name suggests, the barbecue can be folded into a small suitcase. 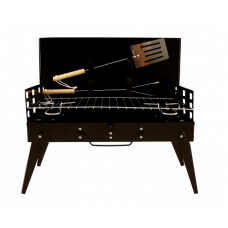 Easy to assemble and the grate can also be placed on three positions. You also keep everything clean during the trip and because of the compact folding shape it does not take up any space.